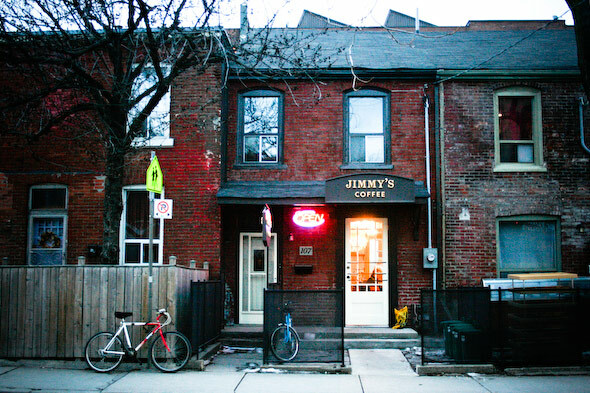 Jimmy's Coffee is a cozy little spot that serves as a refreshing hideaway from the more trendy joints found on King West. 10 year coffee veteran Ashleigh "Max" Waters, formerly of Hank's doesn't want you to order off the menu board above the counter. At Jimmy's customer satisfaction is king, so just tell her what you're in the mood for and she works her magic behind a puff of milk steam. Under the black and white gazes of famous "Jimmy's" (Carter, Hendrix, Morrison et. 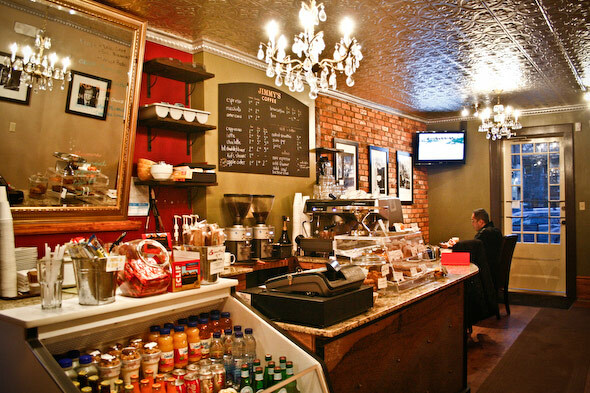 al), the space evokes a very relaxed, general store attitude. There is lots of seating, arm chairs, bar stools and tables, and a a patio under construction in the back. 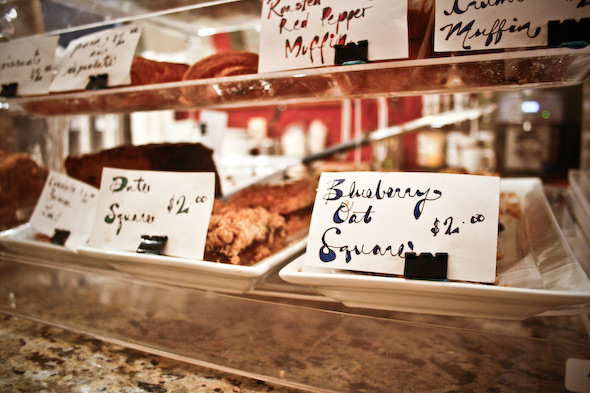 In addition to sweet offerings from Circles and Squares , lunch-goers can enjoy a soup and scone special for $6.75 (tax included). At Jimmy's, you don't pay by the size of the drink -- you pay for a single or double shot ($1.67-$2.14) in a cup size of choice. Kids in tow? No problem, Jimmy's charges "kid friendly" prices for smaller versions of their (obviously) non-caffeinated drinks. For the tea lover, a vast selection means you should be able to find something to suit your tastes. While none of Jimmy's coffee's and teas are fair trade, they purchase beans from micro-lot growers, with an eye toward strict quality control. There's also a community oriented vibe to be found at Jimmy's. 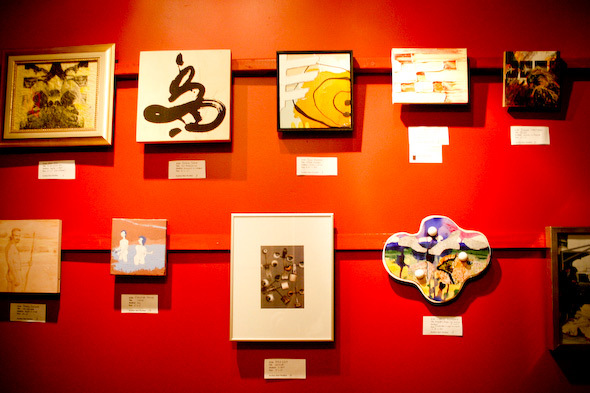 The cafe recently held a silent auction of works by local artists with the proceeds going to Doctors Without Borders . Jimmy's is open Monday to Friday, 7-6, and 8-6 on the weekends.